Sookie is the calm eye of this supernatural hurricane. An awful lot of books with vampires in them out there nowadays, I agree, but before you roll your eyes and groan let me steer you to some really good ones. Sookie Stackhouse’s clairvoyance made her an outcast long before she started dating Bill the vampire. Sookie tends bar in present-day Bon Temps, Louisiana, where due to the invention of synthetic blood by the Japanese the vampires have decided to come out of their underworld closet, and that’s just the beginning. Over so far ten books in the series, Sookie is introduced to vampires, werewolves, werepanthers, weretigers, witches, fairies, maenads, and she takes them all in her stride. Beautiful, spunky, brave, Sookie is the calm eye of the supernatural hurricane swirling around her, and standing at her shoulder as she leans into this paranormal wind makes this world seem all the more real. Yes, this is the series that HBO’s True Blood is based on, but read Charlaine Harris’s books, too, because they’re a lot of fun. Harry Dresden is a wizard living in present-day Chicago, where he advertises his services under “W” in the Yellow Pages. He’s got a good heart, a smart mouth, and a skull for a sidekick, and he goes up against some of the Biggest Bads ever to scare the socks off you. Among these are the vampires, organized into the Black Court, the White Court and the Red Court. 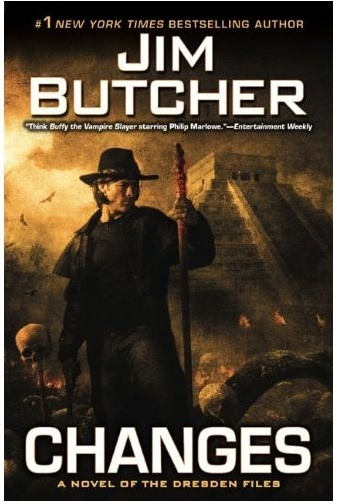 The twelfth book in Jim Butcher’s series, Changes, features a finale smackdown with the Red Court that will have you on the edge of your seat, and the best hook I’ve seen set in the denouement of a work of popular fiction in a long, long time. 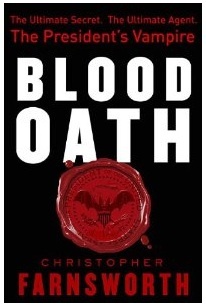 A new entry into the vampire oeuvre is Blood Oath, the first book in a planned series by Christopher Farnsworth about a 163-year old vampire who under a voluntary voodoo spell (work with me here) has been working as a secret agent for the presidents of the United States since Andrew Johnson, and who sublimates his lust for blood by going to AA meetings, whenever he can fit one in between fouling dastardly assassination plots by zombie Frankenstein soldiers. His sidekick and our way into this world is the ambitious and cynical Zach Burrows, a young White House staffer caught in flagrante delicto with the president’s daughter, which explains his current assignment. A promising start for a buddy series. 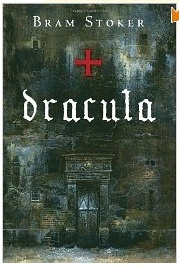 And let’s not forget the book that started it all, Bram Stoker’s Dracula. I read it a long time ago but I remember wondering even then how Stoker in 1897 got away with all that unspoken but nevertheless smoldering sexuality that underlays every line of the text. And Renfield still gives me the creeps. Glad to hear you’re still working on the Liam Campbell series. Looking forward to the next one. This would also be an excellent starting point for a TV series or a made for TV movie like the Jesse Stone series. Re Kate series – love it but am concerned about Jim’s shrinkage from 6’10” and 260 lbs to 6’2″ and 220. Also, Mutt is 20+ and must be feeling her age – how about including the acquisition and training of her successor in a book? Kate is getting up there too and maybe should be training Johnny to help her out. T. Brennan: Your concerns about Jim’s height have been raised before. My answer is the same: Dunno what happened there. Jim was always 6’4″ tall in Danaworld. In re Mutt, she is I think about nine in the now of the Kate Shugak books, and the average lifespan of the Arctic gray wolf is twenty years. She’s got a few left in her. I found the Sookie books due to an anthology of short stories you edited since I have you on author alert at the library. In early days, before I spent more time online, this was how I knew a new book was being released. The story was Lucky. Anyway, I loved many of the short stories and started reading several series. 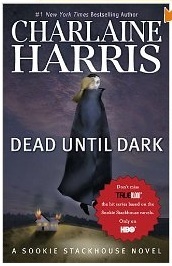 I loved the Sookie Stackhouse books with a passion through Book 8. After that, the series seems to have lost its humor and playfulness. The characters don’t seem like themselves. The books contradict themselves in WRITING, from previous books, ie, the continuity is very poor. The ending of the series is not why fans are upset. We are upset about the treatment of the characters and poor writing quality. Northwoman: Hands down the best first line of any short story I ever read: “I hate it when fairies come into the bar.” Lovelovelove Charlaine.